La Tranche-sur-Mer is a commune in the Vendée department in the Pays de la Loire region in western France. Situated on the Atlantic coast in the Vendee, the stunning seaside resort of La Tranche sur Mer lies between Sable d'Olonne and La Rochelle. 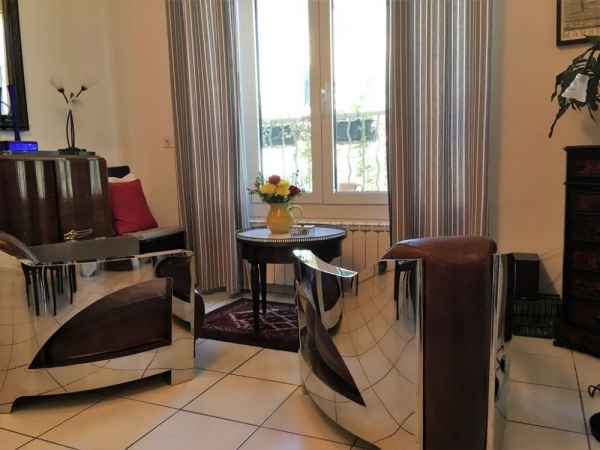 When you rent self-catering accommodation in La Tranche sur Mer you are also near the delightful Marais area (also known as the Venise Verte, or Green Venice). La Tranche sur Mer also has the advantage of being sheltered by the historic, and now chic, island of Ile De Re which protects it from the Atlantic Ocean, giving it excellent safe bathing. A visit to the Ile de Re is a must when you stay in a La Tranche sur Mer holiday rental cottage or apartment! When you holiday in La Tranche sur Mer, do so confident in the knowledge you are within easy reach of the finest beaches in France. There are plenty of water sports on offer too. Be prepared to indulge in wind surfing, surf boarding, sail boarding, and water sports of every description on 9km of soft sandy beaches. Other places to visit when taking a holiday rental gite in La Tranche-sur-Mer, include the department capital of Roche sur Yon – just 40km away. The beautiful and fashionable port of La Rochelle is 45minutes to the south – perfect for people watching! Les Sable d'Olonne is a similar distance to the North. Not far to the East lies the delightful medieval city of Fontenay le Comte, and nearby to that the charming villages of Vouvant and Mervent. Major attractions like Futuroscope and Puy du Fou are only an hour away. La Tranche sur Mer also offers lively bustling markets on Tuesdays and Fridays each week. The Vendée is best known for its sunny climate, clear blue skies and fabulous sandy beaches. Situated only a few degrees North of Mediterranean resorts, La Tranche offers the same annual hours of sunshine. Average temperatures are well into the mid-20s in the summer months. Sailing to St Malo is the easiest option if you choose to holiday in La Tranche sur Mer with your car. Other ports are - Caen: 415km, Calais: 672km, Cherbourg: 435km, Dieppe: 514km, Hook of Holland: 960km, Oostende: 466km, Roscoff: 437km, Rotterdam: 924km, St Malo: 295km, Zeebrugge: 772km. Airports - La Rochelle airport: 67km, Poitiers airport: 183km. La Rochelle offers flights form all over the UK with easyJet, Flybe, Jet2, Ryanair and Aer Lingus.